Lila shared that the album was inspired by both “the day of the dead offering and celebration, and also from my personal dance with her partner’s possible death.” While the lively sound of the album centers around danceable fusions of “mostly cumbias, klezmer-like norteña, hip hop and pop,” the serious and timely lyrical content is a fierce condemnation of the current violence and corruption engulfing Mexico. “Balas y Chocolate” spotlights Downs’ concerns over the erosion of civil rights and justice, the still escalating threats to the country’s journalists, the excess in modern life, lost love and more. 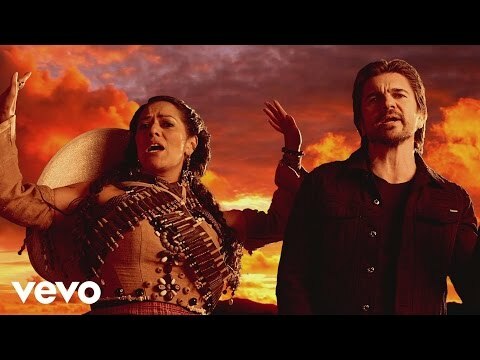 The title track is a dedication to migrant children, while the upcoming first single “La Patria Madrina” is a duet with Colombian superstar Juanes that pledges to passionately fight for the preservation of one’s land and country. Which is also a MUST-WATCH video, check it out below. Any other Lila fans out there? Make sure you check out our Instagram for más photos from the entrevista at the Sony offices here in Miami!